Hello ... Hello ... my old friends ... It's great to see you once again! To coincide with the news of the return of Jeff Lynne and ELO with "Long Wave" and "Mr. Blue Sky", the official ELO web site at www.elo.biz has been renamed, refreshed and relaunched as ELO & Jeff Lynne with full details of the new album releases, exclusive video footage of Jeff with Richard Tandy [as well as Fred the Robot, of course!] ... and much more. And ...if you want a take a look at Jeff's new record label at Frontiers Records, you will find that Jeff is now label mates with the likes of Asia, Richard Marx, Survivor, Foreigner, Whitesnake, Extreme and not a few others. So please check out both of the above web sites and "Hold On Tight" as things in the ELOBF universe get busy from hereon forward! 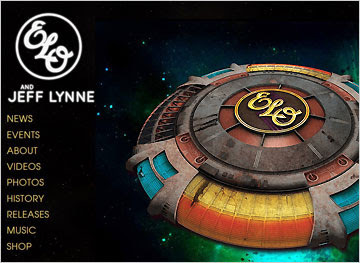 ELO Beatles Forever [ELOBF] supports, endorses and recommends the past, present and future work of Jeff Lynne and, of course, the Electric Light Orchestra [ELO]. I have composed, played all the instuments and sang all the vocals.